Dale View is a one bedroom cottage located in a quiet, tranquil location with magnificent panoramic views across Wensley Dale to Riber Castle above Matlock. 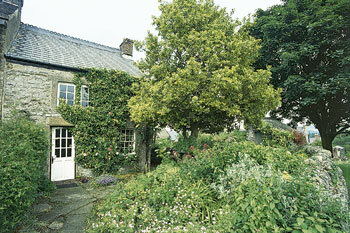 The cottage retains many original features, such as old mullioned windows, beams and open fire. Excellent walking is a feature of this beautiful area, which is also rich in history – a wealth of places of interest are to be found within a short drive. Magnificent Chatworth House, medieval Haddon Hall and Bakewell's lively Monday market are all about 7 miles, the village of Eyam just a little further. The Heights of Abraham cable cars, golf, riding and cycle hire on the High Peak Trail are all about 5 miles. 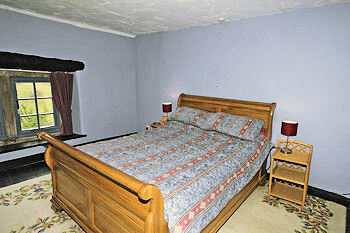 Matlock, 3 miles, offers extensive facilities, and a pub 200 yards, shop 1 mile. One bedroom. Spacious beamed sitting/dining room with open fire. Traditional galley kitchen. Steep winding stairs to first floor: Double bedroom. Shower room/W.C.